THE developers of a childcare centre rejected by council because of the dangers of building next to a school entrance will appeal the decision in court. 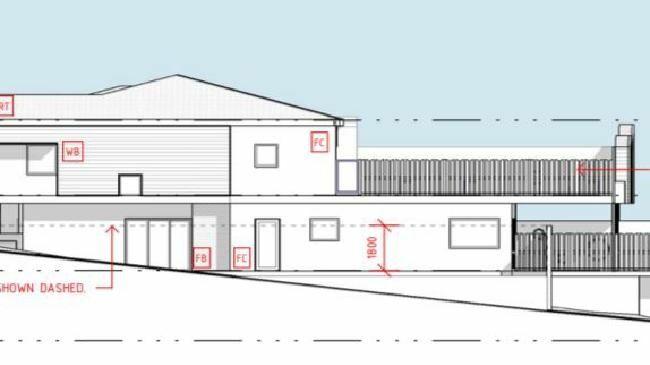 CCLP Consulting proposed a two-storey, 89 place childcare centre with a basement carpark level next to Marshall Road State School. The proposed site is on two house blocks zoned for low density housing at 14 and 18 Kurts St, Holland Park West, next to the school drop-off zone, which is at the end of a dead-end street. About 50 submissions were lodged against the proposal, including one from the school P&C. Brisbane City Council refused the application, citing the dangers of increased traffic at the site and that it did not maintain low density detached housing suburban identity. P&C president Yvonne Hartnell said the proposed development would create traffic chaos. "There are significant safety issues in that street already with just the primary school," she said. "The junction into the street is dangerous. You can't see what's coming up the hill. When you consider there will be 89 kids under five years old, next to a school, it was way too dangerous." Councillor Krista Adams (Holland Park) said a child care centre was highly unsuitable for the site. "This refusal is a positive outcome for the local area," Cr Adams said. "Kurts Street is a dead-end street and this proposal would have only exacerbated traffic issues and limited on-street parking, making it even more difficult for school pick-up to operate." CCLP Consulting, lodged an appeal against the decision on Friday. CCLP bought the two homes zoned for low density residential and applied for a material change of use in February for the childcare centre. In their application they argued the proposed development provided an essential community use which catered directly to the local residential catchment and the development was designed to integrate with the surrounding neighbourhood character. They said there was a need for more childcare places in the area with the average occupancy rate for centres in the area estimated at 98.32%. "(This is) verging on under-supply where most parents would have difficulties obtaining childcare that meets their needs in the local area," CCLP said in its application to council. "At present there are eight long day care centres in the major catchment, supplying a total of 525 places to an estimated market of 1965 children under five. "(There is) a significant demand loss from the area with demand for up to 250 places per day originating in the local area but serviced elsewhere." CCLP did not respond to further questions.